I started on a bowling league this year for the first time in over 12 years. I was using an old plastic ball that was drilled for me. I bought the Tropical Storm about 2 months ago now. My average has improved a great deal. I was at a 125 average and I have been getting many games that range from 155-172. I really love this ball! I am getting a lot more strikes now. When I do leave pins, it is usually just 1 pin that I am leaving instead of 3 or 4 with the old plastic ball. The Tropical Storm does have a nice hook at the end...right before hitting the pins. It took a couple weeks to get used to. I would never go back at this point! I also had the ball drilled fingertip. So much eaiser to throw compared to the conventional drill. All around a great ball with pretty good performance! My poppa bought me this ball when he felt i was ready for a core ball. Works GREAT, has good back end break. High game is 215 and averaging 150-160 at my age 13. Bowling for three years; results; Season one, second place. Season two, league champion/most improved bowler. Season three, second place, high scratch series. Ready to purchase a heavier ball now as my speed has increased. Will get another breeze. it cracks fast and easy. Great ball for the first few times you throw it. i've had two of these now, and my first one started cracking after the first time i threw it, but all the locals said not to worry about it. About 2 months down the road the finger holes had cracked to the poin it was all one hole and shredding my fingers when i threw it. my second time i got it professionally drilled hoping maybe it wouldn't happen, but i threw it for maybe 5 games my first night night, and came back the next night and when i pulled it out of the bag there was hairline cracks all around the finger holes, and by the end of the night my finger grips were coming out from all the cracks. my gf bought this for me for my bday! I absolutely love it.. very pleased with its performance!! This thing hooks a nice amount even if you have a higher rev rate or a lower one. Hi, this Tropical Breeze will carry a fairly straight line, with a slight hook as it nears the pins. You will need to be able to generate some revs on the ball to see the hook. 6 of 7 customers found this answer helpful. Did you? Yes | No Did you find this answer helpful? Yes | No Thanks for your feedback! The picture is of the NEW version of the logo...without the work Breeze. 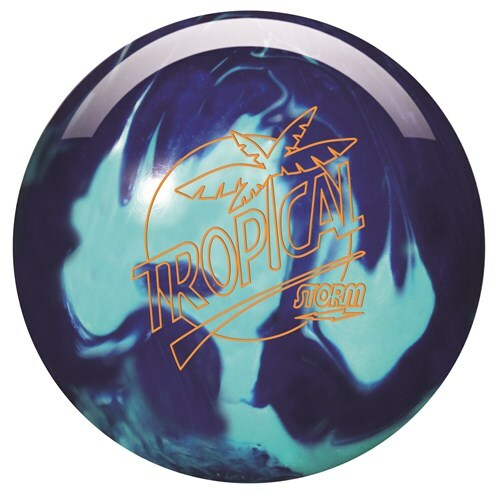 So if I order this ball, would I be getting the new logo, or the old "Tropical Breeze" logo? Hello Dennis! The old and new logos are probably both in our stock. So if you want one or the other, you can just put a request for the one you want in the comments box on the final page of placing your order. Hello Arny! Yes, this ball is ideal for drier lane conditions. I roll a back-up ball. 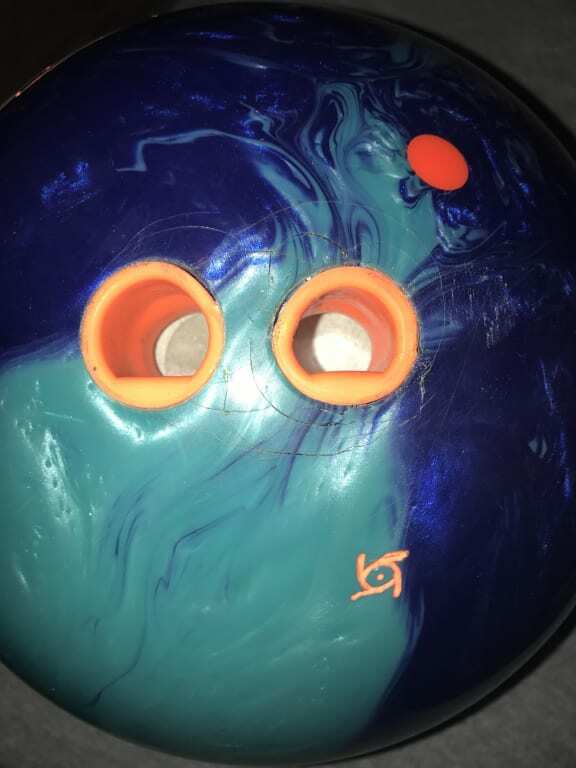 Is this a good ball for that style? Hello Memaw! That would depend on a lot of different factors. If you'd like, you can give us a call at 1 (800) 441-2695 and someone here can help get some recommendations together for you. I currently use a Storm Rocket Ship.. Will this ball be more tame on the back end? Hello Lefyy! Yes, this ball will be much more tame on the back end and will hook significantly less than the Rocket ship. If you're just looking for a little bit less hook, you might want to look at the Storm Match Pearl or the Storm Ride. beginning bowler at age 59, using an 8 lb house ball, is this a good step up for better performance? 8 lbs seems heavy enough I see this starts at 10 lbs. Hello. Yes that should be fine. This is a level above the house balls. Usually we only have lighter weights for the spare and plastic balls. The performance balls will either be 10lbs and up or 12lbs and up. Hi. A plastic ball will only bowl straight. This ball will have a slight hook on it. The 1500 grit polished will make it break a little later. Is the weight block used for a 13 pound ball the same as the one used for a 14 pound ball? Hello Deb. The weight blocks will be different for the 13 and 14. The 14-16lbs will all have the same weight block but anything under 14 will have something different. What is the difference between this ball and the Rhino? Hello! The only difference between the Storm Tropical Breeze Teal/Blue and the Rhino will be the grit finish. The Tropical Breeze will have a 1500 grit giving it longer length than the Rhino. This ball is for beginners to learn how to hook. These balls will only have a slight hook. Whatever is most comfortable for you. Storm replaced the heat with the breeze. Looking for a good ball for dry lane conditions and ten pin shooting. I rev the ball quite a bit and it is hard for me to keep it on the lane with a dry lane condition or as the oil starts to break down. Is this a good ball for what I'm looking for? Yes, once the lanes start breaking down you will want a ball like this one. 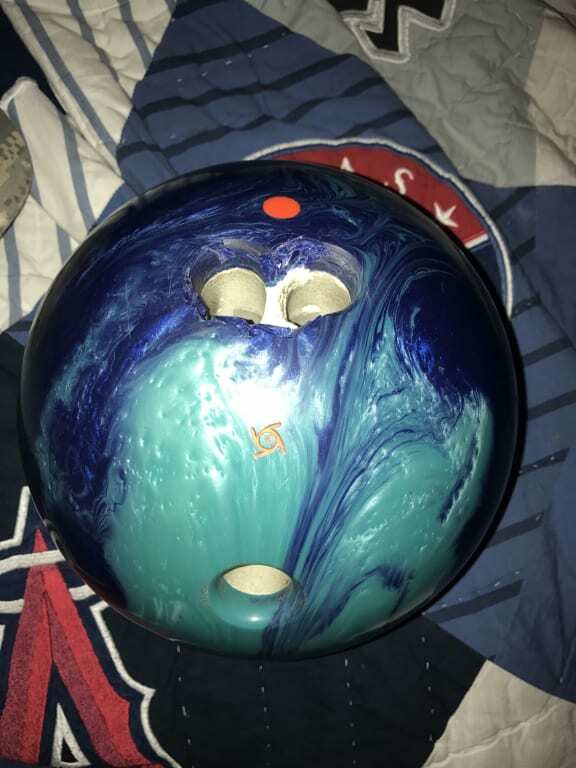 Would this ball be a great ball for when my match up pearl black starts to over hook? Yes, this would be an excellent ball. Yes, this would be an excellent ball for you! Are there already holes drilled in this ball? There will not be any holes drilled unless the drilling is purchased. How would I go about having grips installed? A local driller can help you install the grips. How do you throw this ball, can you throw it same as a plastic ball? Yes, you can throw it the same as a plastic ball starting off. Once you get a feel for how it reacts, you will know where to stand to throw it. Due to the time it takes to produce the Storm Tropical Breeze Teal/Blue ball it will ship in immediately. We cannot ship this ball outside the United States.